MetroPCS USA Full IMEI Check - What does it Include? T-Mobile is the third largest wireless carrier in the United States with 72.6 million customers as of Q4 2017. Among these customers are those who use prepaid wireless services. 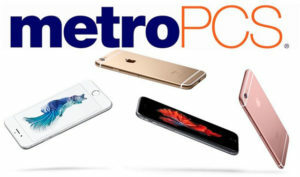 MetroPCS is a prepaid wireless service that is part of T-Mobile US, Inc. With this large number of consumers, it’s very common to encounter secondhand MetroPCS USA devices. Here’s when you need a MetroPCS USA Full IMEI Check. MetroPCS provides nationwide talk, text, and data depending on the plan services using GSM, HSPA, HSPA+ and 4G LTE networks. In October 2012, MetroPCS Communications reached an agreement to merge with T-Mobile USA, Inc., a deal that would “help the competing provider become more competitive with the other National Carriers”. With this merger, it has become more popular in the US especially that they offer prepaid services. However, alongside with this service, there are still devices being offered which are locked with MetroPCS. If you get a chance to buy a secondhand MetroPCS, you should be having a MetroPCS USA Full IMEI Check. Similar with a Full IMEI Check, a MetroPCS USA Full IMEI Check includes a network lock check, iCloud lock check, blacklist check , in-contract and warranty check. A network lock check will determine if the device is locked to a specific network. This means that the device will only work to that network and inside the network country. iCloud lock check applies to iPhones only. iCloud locked iPhone means that the Original Owner’s Apple ID details is still linked to the iPhone. Without that Apple ID login information, the iPhone cannot be used. A smartphone can be blacklisted by network providers for a couple of reasons. It may be blacklisted because it was reported as lost or stolen by the original owner. In addition, it may also be blacklisted due to unpaid bills when it is bought under contract. In addition to network lock check, iCloud lock check and blacklist check, another important information you may find in a MetroPCS USA Full IMEI check is the in-contract and warranty check. This contains information about the contract and warranty of a secondhand device. Moreover, this will also provide information to any unpaid bills or outstanding balance a device might owe to a network.